Little Tikes Little HandiWorker Workhorse Tool Play Set Only $19.98! You are here: Home / Great Deals / Little Tikes Little HandiWorker Workhorse Tool Play Set Only $19.98! The Little Tikes Little HandiWorker Workhorse Tool Play Set encourages learning and discovery! The set includes a pounding bench, nails, screws, a screwdriver, a wrench and a hammer. This has storage on the top and both sides, a convenient carrying handle and it folds flat. Your child can experience the tactile joy of this toy for years, thanks to the durable construction. Regularly $29.99! 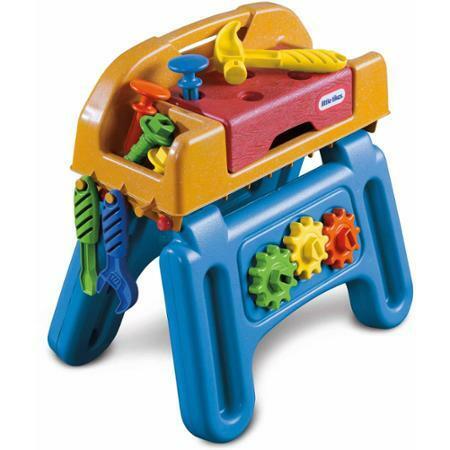 Get the Little Tikes Little HandiWorker Workhorse Tool Play Set for Only $19.98! FREE shipping on orders $35 +, or Buy Online and pick up in store!